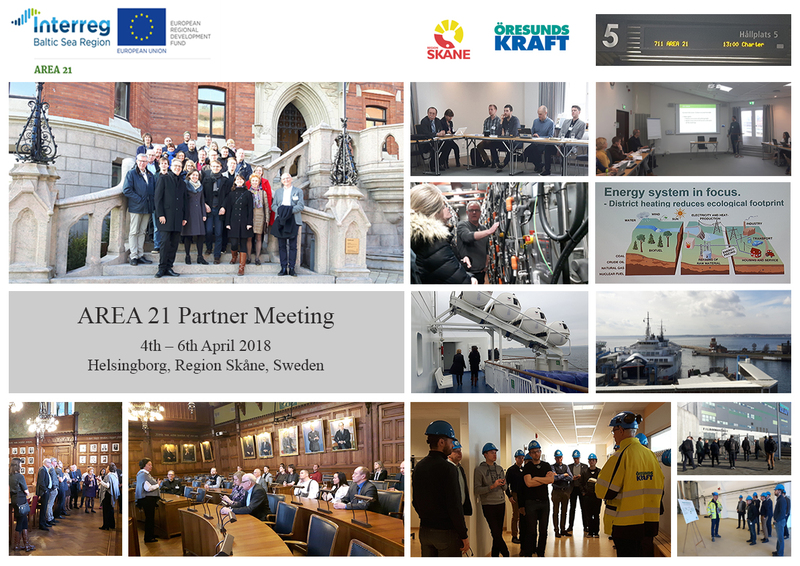 From 4th – 6th April 2018, AREA 21 held its second official Project Meeting with all Partners. 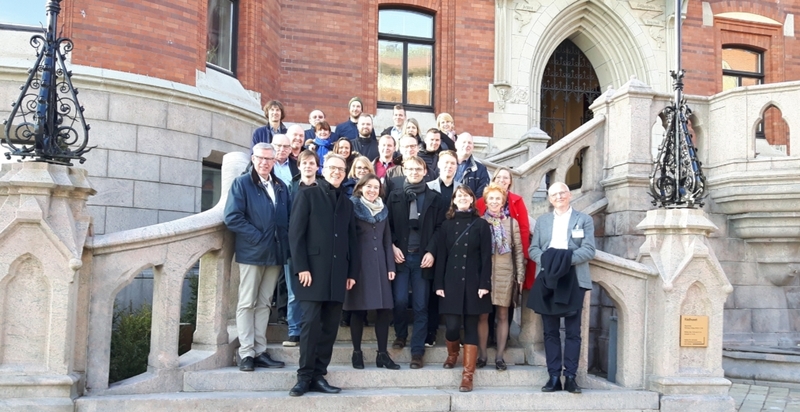 Hosted in Helsingborg by Project Partners Öresundskraft and Region Skåne, the meeting successfully identified the current status of project activities and communicated key concepts and strategies to articulate next steps in the project’s timeline. The event included key note speakers from Region Skåne, as experts on existing and upcoming energy projects and innovations, such as the aspiring strategic plan ‘Fossil fuel free Skåne Region 2020’ that challenges the business as usual model to meet ambitious carbon reduction targets. The Partners attended study visits including a guided tour of the innovative Waste to Energy Plant in Filbornaverket. The introductions and site visits set a lively backdrop for Partner discussions about their current progress in the design of their Energy Improvement Districts (EID) as well as the potential of ICT Tools to promote energy efficiency. HafenCity University Hamburg as the Lead Partner reported that all project activities have started according to schedule and the project’s progress is on track. Guidelines for EID design parameters and stakeholder analysis were presented to inform Partners and to promote discussion on their local approaches. Discussions also assisted Partners to identify likely challenges that will be faced in holistic energy planning, and it was reiterated how important trust and cooperation are to maintain stakeholder involvement. The workshop provided an enriching platform to share project experiences, technologies, design approaches and to set in motion the project’s next steps, which will be reported during the Project Meeting scheduled for September 2018.